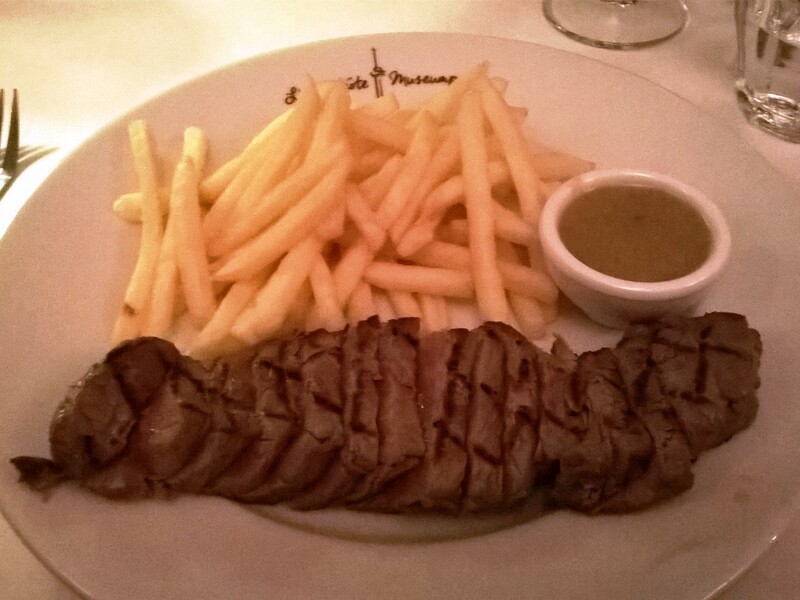 We were looking for a simple yet good dinner for this Wednesday night and came across L’Entrecote Museumpark. A place that does one thing, and one thing only, the iconic French steak frites. They write in their menu that they have taken the concept from the Parisian Le Relais de Venise – L’Entrecote and brought it to Rotterdam. Another comparison could be made with Le Relais de L’Entrecote, which we have been to, and has three restaurants in Paris. The reviews online were very positive so we had high hopes and, thankfully, weren’t disappointed. The restaurant is quite small and cozy, and there is French chanson playing in the background. 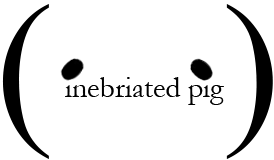 The lights are dimmed and the lamps on your table flicker like candles to create a romantic atmosphere. When you come here for dinner you have three choices: steak, fish or a cheese soufflé. But, of course, you’re supposed to come here for the steak. For €23,50 you get a salad to start and then a steak and fries. All you need to tell them is how you want your steak done, we asked for rare. Unfortunately we couldn’t drink that much, so passed up on ordering a bottle and went with a glass of Aimery syrah instead. As is typical for French restaurants, you start with some good bread and salty butter. 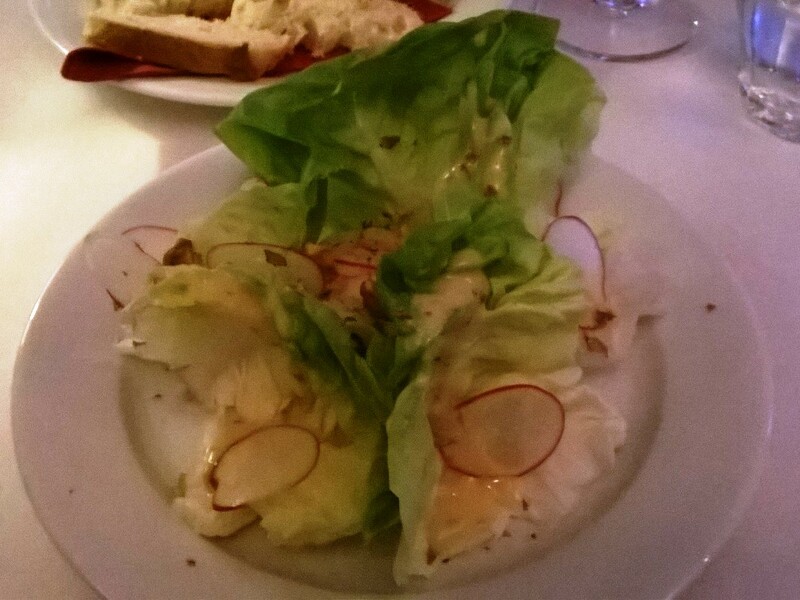 Then came the salad which was made of baby gem lettuce, sliced radish, walnut, and a mustard vinaigrette. It was a light and refreshing salad; though we both thought the vinaigrette was a tad bit too sharp (just a little bit too much vinegar). I had burnt my tongue eating pea soup for lunch that day so the vinegar actually hurt a bit! Then came the pièce de résistance, the Australian black angus entrecote. The waiter explained to us that it was cooked in its own fat, laid to rest in an oven at 53 degrees, and then finished off on the grill. It was juicy, tender, and cooked just as ordered: rare. The sauce on the side was tarragon-based with some sort of meat stock and cream. The only disappointment that night were the fries, which are not handmade, but your run-of-the-mill frozen shoestring fries. In no way were they bad, but they were nothing special either. It’s almost inexplicable that they haven’t upped their french fry game, since they do put in the effort to make homemade mayonnaise. Some homemade twice-fried fries would take this place to the next level, but the really tasty steak did make up for it. I was completely satiated, but Pano told the waiter he could’ve eaten two steaks so he told us they actually have an XL steak (350 grams) which isn’t on the menu. We will definitely be coming back for that! Update 26-6-2015: they make their own fries now!